Always wanted to participate in a major poker tournament? Look no further. Bovada Poker lets you get in on some of the biggest online poker tourneys around, including the Golden Spade Poker Open and the Black Diamond Poker Open, each offering guaranteed prize pools worth millions in real money. How about playing a new way every day? 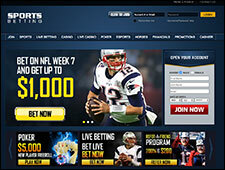 Bovada�s got you covered. Anonymous tables let you play incognito � meaning your identity will stay hidden and no one will be able to predict your moves. Think of it as virtual poker face. It�s the same stellar poker experience, now with awesome new additions to boost your game: A new Quick Seat feature has been added to the Bovada Poker, seating you at the tables so much faster than before. A huge Poker Welcome Bonus of 100% up to $500 for new players. I've been with Bovada for 3 years. Since I started with them, they have added Bitcoin as a withdrawal option, which has been great. Now it takes about 24hours to send my money from my Bovada account to my Bitcoin wallet and about 1 day from my wallet to my bank account. It has really changed my betting life...no more waiting for 8 days of pending and 3 weeks for a check only to blow your money during the 8 day pending period. The play aint bad but it took over two months to get my check I used to play when it was bodog it only took 7 to 10 days always on time sometimes early but since they change I got three checks each time took a couple months and a lot of phone calls. 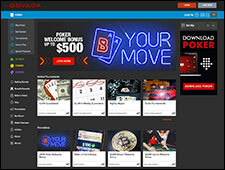 Write a Bovada Poker Review and share your thoughts with other players.